If one reads this book once, cover to cover, one will understand the meaning of the Veda and attain the keys to interpret the hymns in the Veda. After this, if one reads this book backwards, one will understand the inner details of the Tantras, especially the specific language of the Tantras. Today, it is unknown even in India, that the Divinities make up the fabric of Vedic metaphysics. In fact, scholars, not understanding the relevance of these Divinities and their representations, have only a vague idea of the Veda and therefore the remaining branches of the Indic science, for instance, the Agamas, Tantras, and yoga. This book has been written by Bhagavan Shanmukha with Shri Ma Kristina as practitioners of the Vedic and hence the Tantric sciences. This book reveals a traditional approach and is very important for one who is seeking accurate knowledge of the Veda and its related sciences. The word “tradition” does not refer to the existing orthodoxy of India. This book resets the blunders of Orientalism and is useful both for Orientalists who are teaching and for students seeking to map out the topics of study in Orientalism/Asian Pacific Studies. It is especially useful for one who is interested in understanding the details of the traditional knowledge as a spiritual seeker. Whether you are a neophyte wanting to understand tantric spiritualism, or an advanced seeker wanting to know about Tantra, its philosophy and ideology, metaphysics and relevance to modern life, this book forms the most important basis for the study of spiritualism and especially the Tantras. The inseparability of the Veda and the Tantras can be seen in this book. 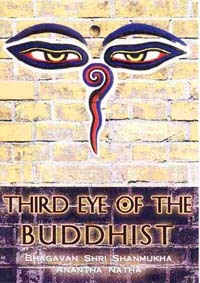 By reading this book, you will attain at least ten or more years of study in Buddhism. Even if you are new to Buddhism, this book will take you through its intricacies and will ensure that you master the correct formulae of Buddhism. It is also useful for scholars, both traditionalists and academics. By taking sets of passages from relevant traditional Buddhist texts as those in Pāli as the Theravāda Tripiṭaka, and the works of the Sarvāstivādins, as well as those texts in Sanskrit as those of the Mahāsāṃghikas and the Madhyamaka, and the works of the Tibetans, including those of Bhāvaviveka, Rin-chen-grub Bu-ston and Tāranātha, the authors have explained the missing formulae that are vital in the understanding and practice of Mahāyāna and Tantric Buddhism. Only on understanding these principles of Tantricism, as delineated by these anecdotes or texts, can one understand the relevance of important Tantric systems as described in the Guhyasamāja Tantra and Hevajra Tantra. It masterfully explains the details of the various schools, namely, the Theravāda, Sarvāstivāda, Mahāsāṃghika or the Bon-po, Mahāyāna, both the Madhyamaka and the Yogācāra as upheld by the Tibetans, and the extant Yogācāra such as the Ch'an/Zen in China and Japan. It offers the details of all these schools compacted into one volume.